Don’t buy that pre-cooked Rotisserie Chicken!! 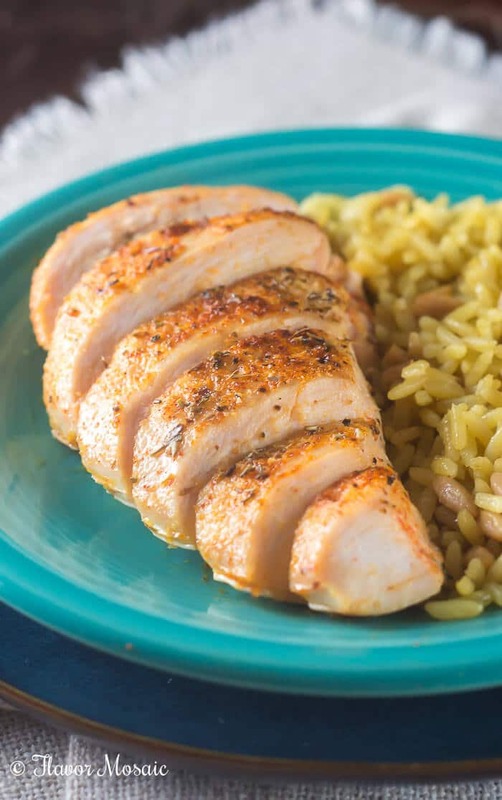 Make your own savory, tender, juicy Oven Roasted Chicken, seasoned just the way you like it, and save yourself the money! 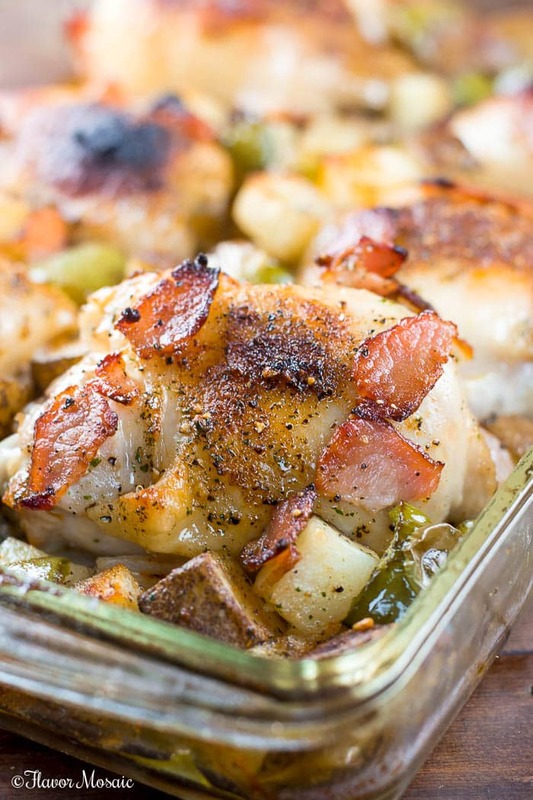 Oven Roasted Chicken and Sunday Dinners go together like peanut butter and jelly! There is nothing better than coming home after church to the smell of a roasted chicken in the oven. Then afterward we would have the whole family come together to eat Sunday Supper with the roasted chicken as the main dish. We didn’t wait for a holiday dinner to serve a roasted chicken. It is served all year round, usually on Sundays since that was when we had the time to slow roast it in the oven. 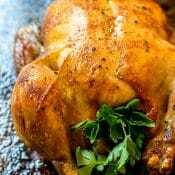 However, since we moved and we have a smaller group of folks for the holidays, this Roasted Chicken recipe will very likely be on our holiday table as well. 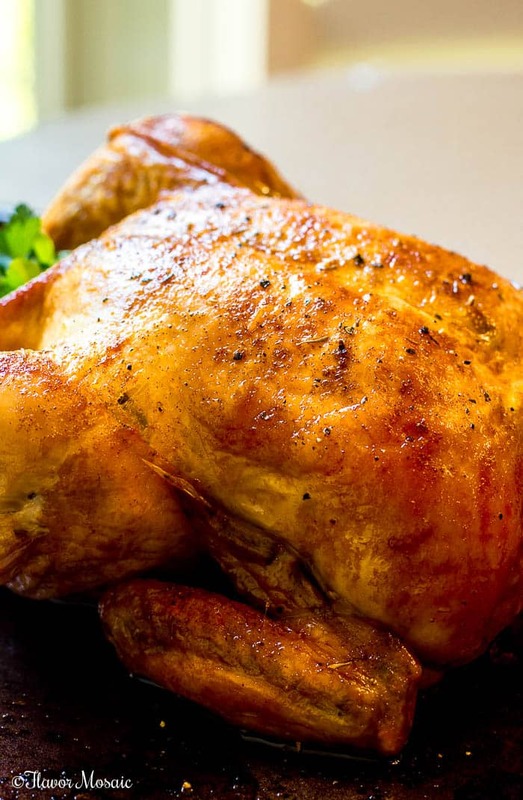 What Makes Roasted Chicken Taste So Good? Roasting! That kind of sounds like the proverbial chicken and the egg. However, the cooking method used, in this case, slow roasting in the oven, brings out the tender, juicy flavor of the chicken. Butter! Butter! Butter! Butter! Butter! It helps to give the chicken that golden color, and makes the skin crispy and helps keep the meat tender and adds so much flavor. If you don’t have real butter or want a heart-healthier option, then use olive oil instead of butter. Chicken Seasoning! 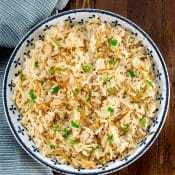 This homemade Chicken Seasoning, made especially for chicken, adds incredible flavor with the combination of spices. 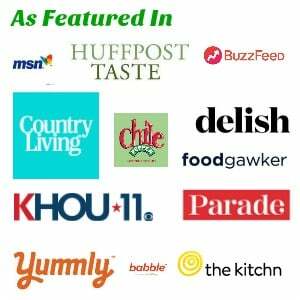 The slow roasting helps develop all these flavors to make the perfect roasted chicken. How Many People Will a Roasted Chicken Serve? A 3 to 4-pound roasted chicken will serve between 3 – 4 people. A 4 – 7-pound roasted chicken will serve between 5 – 7 people. If there are only 2 of you and you don’t want to roast a whole chicken, then consider making these Rotisserie Chicken Breast Tenders. 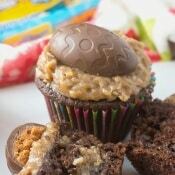 They can be ready in 30 minutes. What Pan Do I Use To Roast a Chicken? Roaster. One option is to use a low walled roaster pan, like this one. You could also cook on a rack inside the roaster similar to how I cooked my Roast Turkey. This allows it to cook more evenly, and makes it easier to get that crispy skin. Cast Iron Skillet. If you don’t have a roaster, don’t worry. 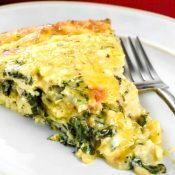 You can use a cast iron skillet or any oven-safe skillet as well. Rub butter under the skin, between the meat and the skin. You could even add herbs to the butter. Rub olive oil, just a couple of tablespoons, over the top of the skin. Season It. Sprinkle a generous amount of my Chicken Seasoning all over the chicken. Stuff It. I don’t recommend stuffing it with stuffing for health reasons. But maybe quarter an onion and toss it in with some fresh thyme into the chicken cavity. Cut up some lemon or oranges as put in there as well. These would be removed before serving. Should I Brine the Chicken? This is a matter of preference. Brining adds flavor but also adds time to the preparation, and I mean a lot of time like you need to prepare a day or two in advance. If you have the time and want to do this, go for it. 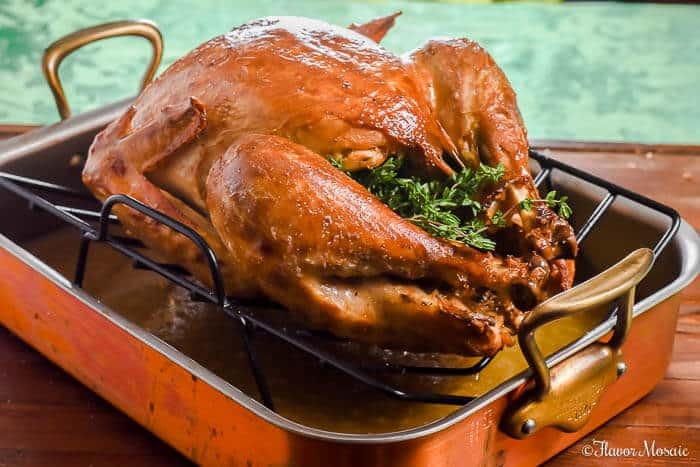 Try the Apple Cider Brine used in my Roast Turkey recipe. 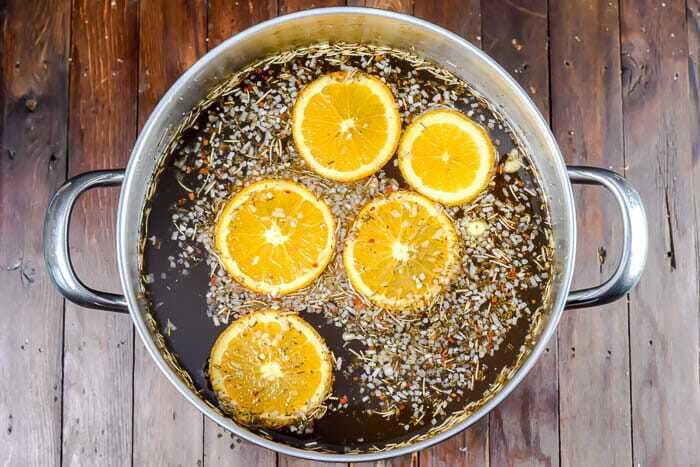 If you don’t have the time to brine, don’t waste time worrying about it. What Seasoning Do I Put on the Roasted Chicken? 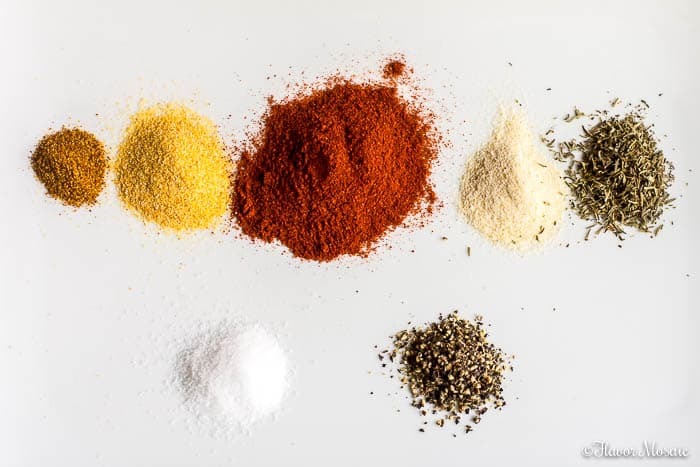 Homemade Chicken Seasoning for Roasted or Rotisserie Chicken. 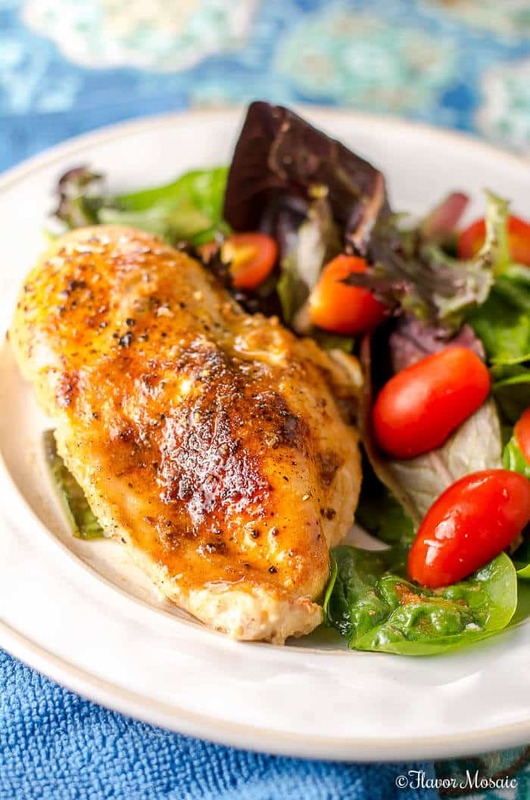 This homemade recipe is our favorite because it gives the chicken such wonderful flavor and helps make that skin its golden color. 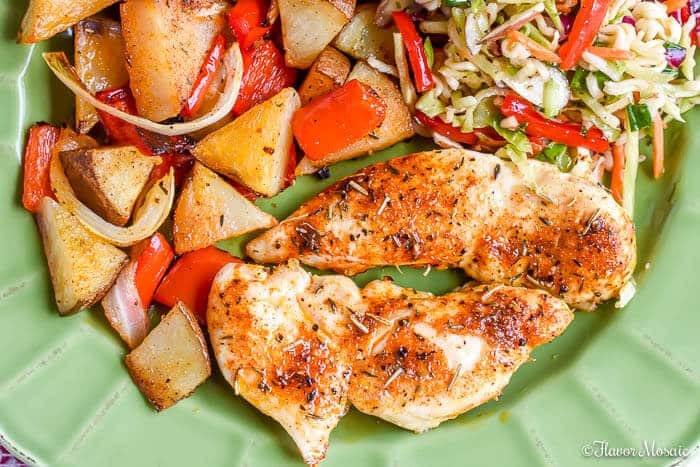 With Paprika, Garlic Powder, Salt and Pepper and other flavors, this will really make your roasted chicken a hit with the family. 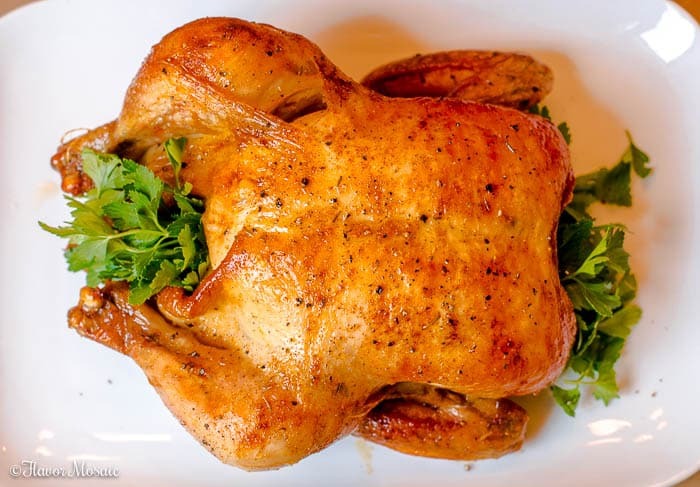 Are There Different Ways To Roast Chicken? Yes! 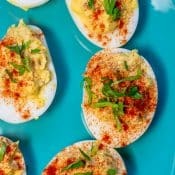 According to AllRecipes.com, there are two methods. Roast a whole (thawed) chicken for 20 minutes per pound, plus an additional 15 minutes overall. Preheat oven to 450 degrees F (230 degrees C) and cook the whole (thawed) chicken for 10-15 minutes. What Can I Cook With the Chicken in the Oven? 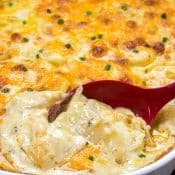 Carrots and Potatoes are probably the most popular option. 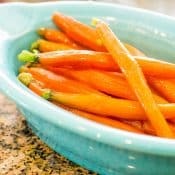 Use baby carrots and quarter small potatoes and place in the roasting pan to cook with the chicken. 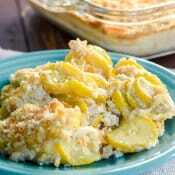 See below for other side dishes to serve with the chicken. How do I know when it has reached 165 degrees F? Use a meat thermometer. Insert the meat thermometer into the inner thigh, close to the bone but not touching the bone. How long Do I Let the Chicken Rest after Cooking? The chicken continues to cook even after you take it out of the oven. Make a foil “tent” to cover the chicken and let it rest for 10 minutes. This will result in juicier chicken. What Should I Serve With the Roasted Chicken? 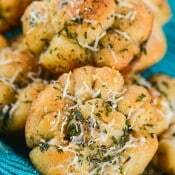 If you like this recipe be sure to check out these recipes! 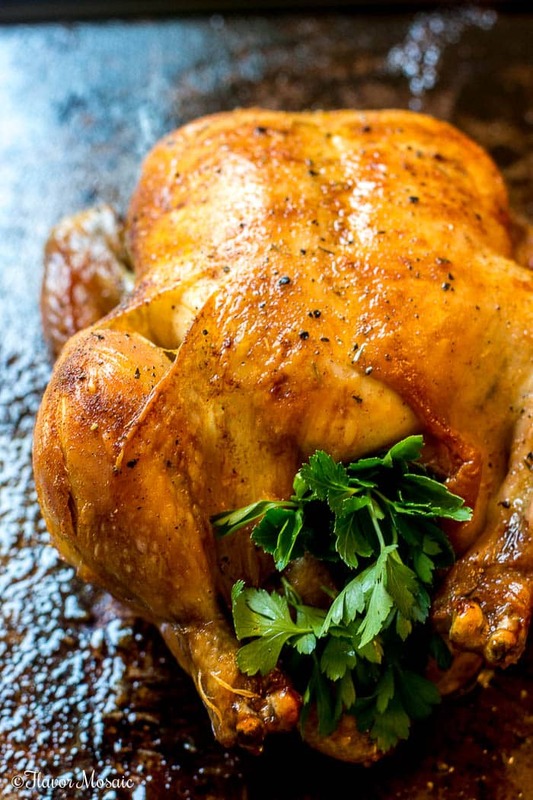 Don't buy that pre-cooked Rotisserie Chicken!! 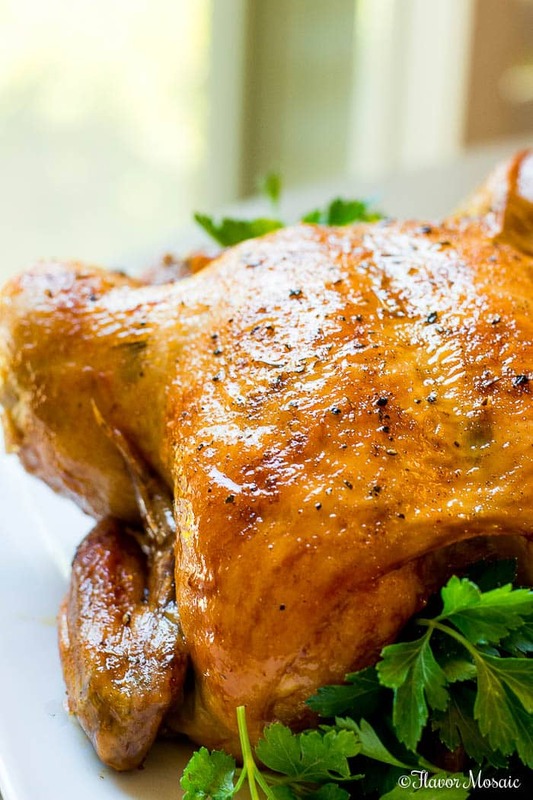 Make your own savory, tender, juicy Oven Roasted Chicken, seasoned just the way you like it, and save yourself the money! Place chicken in a roasting pan, and rub butter in between the skin and meat. Rub olive oil all over the outside of the chicken. If desired, add quartered onions and fresh thyme in the cavity. Remove from oven and cover with a foil tent. Allow the roasted chicken to rest for 10 minutes. Cook a whole chicken for 20 minutes per pound and then add an extra 15 minutes.